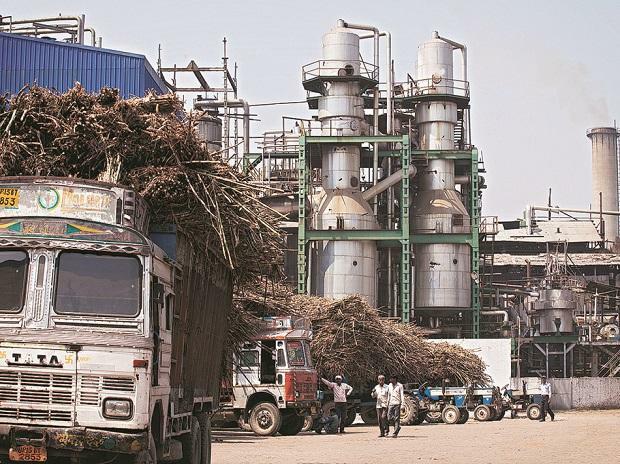 In a sweetener to the sugar sector in Uttar Pradesh, the state government has provided additional soft loans of above Rs 300 crore to cash-strapped private sugar mills for speedy payments to cane farmers. Last year, the state had announced the Rs 4,000-crore package to help private millers tide over the precarious payments situation. This was after banks put the domestic sugar sector in the negative list, owing to subdued market outlook on account of a glut and low retail prices. The UP government had made the budgetary allocation in its first supplementary Budget of 2018-19. However, only Rs 2,610 crore had been disbursed to eligible millers under the soft loan facility, so far. Earlier this month, the state government extended the window for remaining millers to apply, by 15 days. Now, disbursals stand at Rs 2,916 crore, while 53 individual units have benefited, including both stand-alone and group-owned entities, a senior cane department official told Business Standard. Among the fresh soft loan disbursal beneficiary was a Modi Group sugar mill in Malakpur (Baghpat district) in western UP. The total benefit accrued to private millers stood at a little over 65 per cent only. Bajaj Hindusthan, which operates nearly 15 mills in UP, was also out of its purview owing to its low payment percentage. Soft loans have been provided to mills whose payment ratio stood at above 30 per cent during the previous crushing season of 2017-18. They have been provided for a period of 5 years attracting interest of 5 per cent. However, defaulting mills will have to cough up interest payments at the rate of 12 per cent. Currently, almost Rs 10,000 crore is outstanding by UP mills, including the unpaid component for the last crushing season. Against total dues of Rs 35,463 crore of crushing season 2017-18, Rs 35,106 crore has so far been settled, thus touching 99 per cent. Last year, 119 UP mills, including 94 private units, had procured cane worth Rs 35,400 crore from farmers, with the state sugar output standing at over 12 million tonnes (mt) — the highest, followed by Maharashtra. The state government has stressed on its commitment to ensure timely payment of sugarcane dues to farmers, and that recovery proceedings against defaulting mills are in progress. The UP government claimed that in the last 23 months of the ruling dispensation, cane farmers have received nearly Rs 55,331 crore pertaining to different crushing seasons — Rs 11,942 crore higher than the combined cane dues of the two previous crushing seasons 2015-16 and 2016-17. In the ongoing crushing season of 2018-19, the state sugar output stands at about 7 mt.